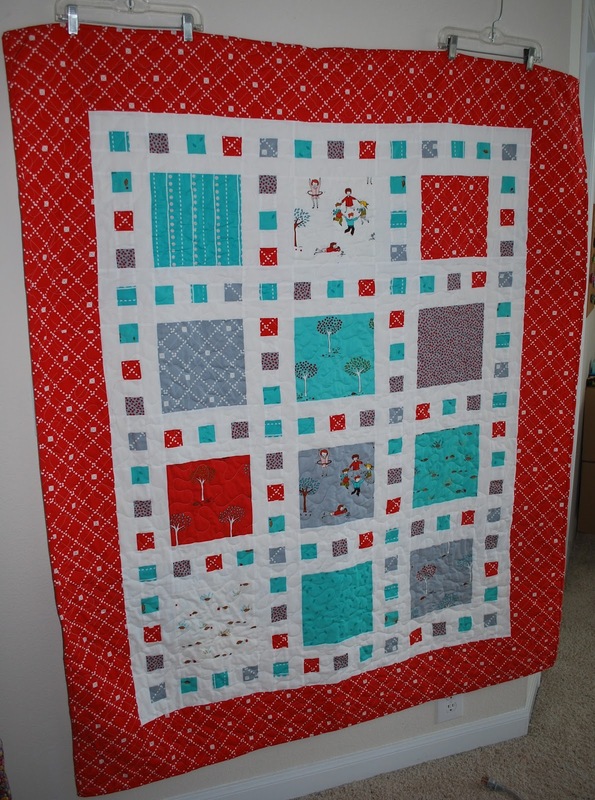 ' Red and Aqua Quilt - Sisters, What! I made three quilts while Zac has been gone...here is the first. I had planned on it being for the baby but it it really too big for a baby. Maybe for when this little guy gets to a big bed or maybe for Jackson when he gets to a big bed come August. Either way I love how it turned out. Any ideas on a name? For the quilt that is...I am open to ideas. I LOVE the color choice! Hmm nothing's coming to mind for a name though. Name: Ring Around the Rosies. Or, Play Hard. I was totally going to say what Britt said but instead "Ring Around the Turquoise" but I also like "Play Hard"